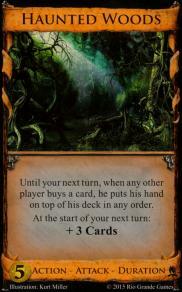 Until your next turn, when any other player buys a card, he puts his hand on top of his deck in any order. 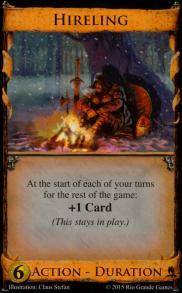 You may put your deck into your discard pile. 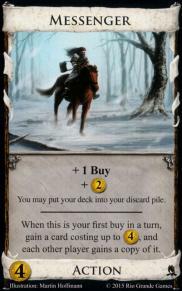 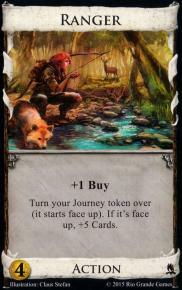 When this is your first buy in a turn, gain a card costing up to 4 Treasure, and each other player gains a copy of it. 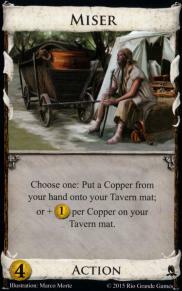 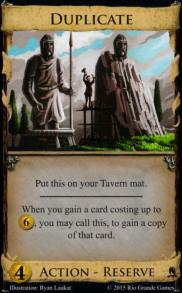 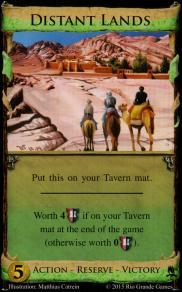 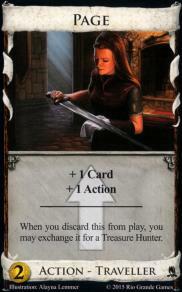 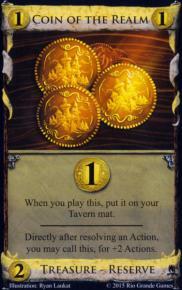 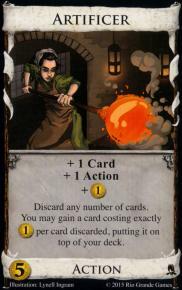 Worth 4 Victory Points if on your Tavern mat at the end of the game (otherwise worth 0 Victory Points).